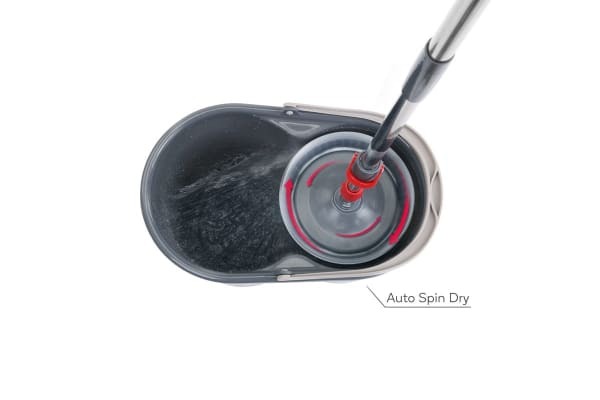 The Kogan 360° Magic Spin Mop has been designed to slash hours off your cleaning and mopping and make your job easier! Use the Kogan 360° Magic Mop with 5 Mop Heads to clean your home more easily, more effectively and at a far more economical cost than other traditional mops. Its low profile 360-degree swivel head lets you effortlessly get to difficult spots under furniture while its ultra-plush microfiber head absorbs large amounts of water quickly and efficiently leaving your floors sparkling and streak free! The microfiber material used in the mop head is extremely effective in picking up dirt and does an excellent job with just plain water doing away with the need for expensive and harmful chemical cleaning agents. What’s more, the mop head can be conveniently machine washed and reused, again and again, so you don’t need to waste money on replacing expensive disposable pads or mop heads every few months! 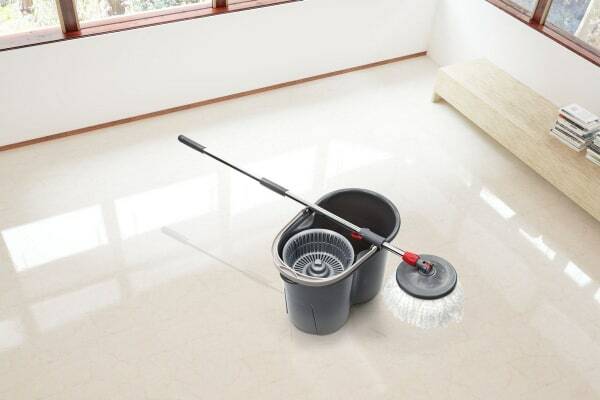 Maintaining the 360° Magic Mop is super easy as high-quality materials have been used in making the pole and mop heads. The mop heads can simply be machine washed and dried for reuse. 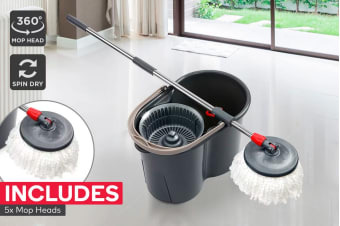 Featuring a 20-litre bucket with built-in spinner, this mop allows you to squeeze out large amounts of excess water into the bucket to clean up your home quickly. Plus, with the fast drying action, your mop is dry and ready to store away quickly without any nasty, damp smells! It's just what I've been looking for in a mop and bucket for cleaning! Great quality product! !